The process of developing Tiny Love® products is much like pregnancy: a long journey filled with twists and turns that ends at a joyful destination. For parents, the joy comes from holding their newborn baby. At Tiny Love®, our joy is in seeing the genuine developmental benefits that babies derive from the innovative, safe, and stimulating toys we design. Tiny Love® has pioneered a new and exciting market for innovative developmental baby toys that stimulate and delight the senses. Our comprehensive product offering addresses the entire spectrum of baby’s developmental milestones, including: sensory stimulation, enhancing cognitive and motor skills, encouraging the growth of emotional intelligence, and much more. Our continuing success stems from our understanding of the developmental stages and needs of babies, our expertise in toy development and innovative design approach, and our extensive knowledge of the infant product market. At this embryonic stage of development, ideas are formed and developed into concepts. After a raw idea is nurtured into a concrete concept, we expose the concept, in the form of a prototype toy, to a focus group of babies. We carefully observe the effects of the prototype on sight, hearing, touch, and emotional response, and use our own 7 Elements System™ as a filter to test its overall worth as a developmental toy. Our goal is to ensure that the toy provides optimal stimulation in a safe and entertaining manner. Through a trial and error approach that may involve countless enhancements and even changes in direction, the prototype is refined until the desired response is achieved. Finally, the initial concept evolves into a developmental toy, and a new Tiny Love® creation is born! 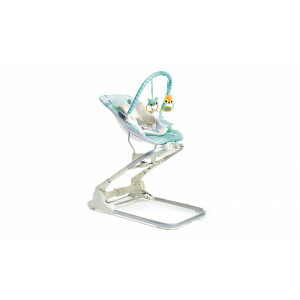 Tiny Love® toys are designed to balance many requirements, among them cost, ergonomics, quality and safety. A unique aspect of many Tiny Love® toys is that they are age-extended – in other words, they accompany your baby through more than one phase of development. 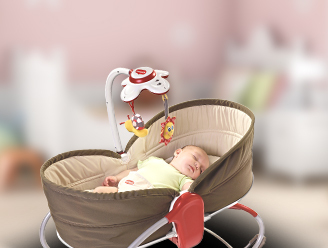 We design these toys to be adjusted by parents to meet baby's changing interests and abilities. These toys also offer the opportunity for parents to show their baby a new way of looking at and playing with an old, familiar toy.While our products are scaled to size for baby, they are extremely parent-friendly – easy and convenient to install, use, store and wash.
Our team of quality assurance specialists works hard to ensure that every innovative design is translated into a product that meets the most rigid American, European and international standards for quality, safety and manufacturing. So you can rest assured: The product that reaches the shelf in your local store is made with genuine empathy and care for its precious end users. Prior to its market launch, each Tiny Love® toy is exposed to two focus groups of babies and parents: one group that has seen the product in earlier stages of testing and a second group that has never seen the product before. We use the reactions of these two test groups simultaneously to gauge the product's success. If the product does not pass both groups, it's back to the drawing board. If it does pass, it goes on to the production phase, finally ending up in the hands of infants around the world. At Tiny Love®, we never forget our real customer – your baby. 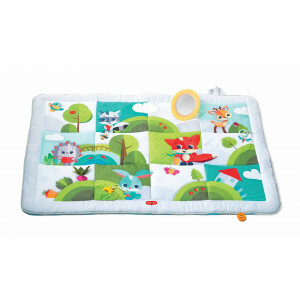 We are proud of the joy and learning we bring to your baby's waking hours, and the comfort we bring to her nights.